Bates Worldwide, previously Ted Bates, was latterly the main brand within Cordiant, the marketing group created from the remnants of the Saatchi & Saatchi worldwide empire following the removal of Maurice and Charles Saatchi. Recast as the core of Cordiant in 1997 (following the spinoff of Saatchi as a separate company), the Bates network carried on for five years before being rocked during the course of 2002 by a catastrophic string of account losses which virtually halved its US billings. As a result, the agency brand was merged with three of its specialist subsidiaries to form a new integrated Bates Group. However that move failed to prevent further losses, and Cordiant was subsequently acquired by larger rival WPP. The Bates Worldwide network was broken up and absorbed into other WPP subsidiaries. All that remained at that point was Bates Asia, which continued to operate as a standalone regional agency under WPP's ownership, until becoming the regional arm of CHI & Partners in 2013. Theodore "Ted" Bates started his career in the advertising department of the Chase National Bank of New York during the 1920s, before joining the George Batten Agency (which was itself later to provide the first B in BBDO). Two colleagues at Batten, William Benton and Chester Bowles, left in 1929 to set up their own agency, Benton & Bowles, and Bates joined them in 1935. He spent five years there managing the Colgate-Palmolive and Wonder Bread accounts, before leaving to set up his own agency in 1940. He took both his key clients with him as well as protege Rosser Reeves, who eventually became the public face of the agency as creative director and later chairman. Bates and Reeves made a good team. A patrician "Maine Yankee" educated at Andover and Yale, Bates was a reserved and private man who, for example, preferred throughout his career to eat lunch alone, and whenever possible communicated with his staff by memo. Reeves on the other hand was a powerhouse, voluble and outgoing, always ready to voice an opinion. Together, the two developed the specific guiding philosophy of the Unique Selling Proposition or USP. In simple terms, the Bates method was to identify the single attribute which made a product uniquely valuable to consumers, boil it down into a slogan, and then "sell the hell out of it" through endless repetition. In some ways it was the predecessor of the "high concept" movie script of the 1980s that could be summed up in a single catchy and intriguing phrase. One of the most notable demonstrations of this was the new advertising Bates and Reeves developed for Colgate toothpaste. At Benton & Bowles, Colgate had been marketed primarily as the "ribbon dental cream", which "comes out like a ribbon and lies flat on your brush". Bates scrapped that in favour of the pitch that it "cleans your breath while it cleans your teeth", the first time that a toothpaste had sold itself on its beneficial breath-freshening properties. 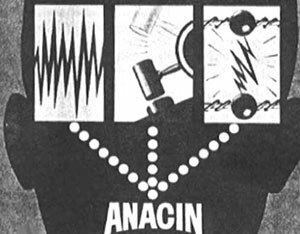 Bates and Reeves also developed the ads for the analgesic Anacin, which showed sledgehammers, thunderbolts and coiled springs pounding away at the inside of an animated head, until bubbles of Anacin swept them away. Other prime examples of the Bates USP approach were the campaigns for M&Ms ("melt in your mouth not in your hands"), Wonder Bread ("helps build strong bodies twelve ways") and Palmolive ("Doctors prove 2 out of 3 women can have more beautiful skin in 14 days"). Expert testimony from doctors or pharmacists was a recurrent tactic. "You can always tell a Bates ad by the white coat," ran one industry adage. The agency expanded rapidly on the back of this hard-sell approach, developing a reputation as a specialist in packaged goods products. The approach was not especially creative but it was effective, helping to boost sales for numerous Bates clients and eventually establishing the agency as one of the country's five biggest. Believing that incentivised motivation was the key to the company's growth, Bates split the company's equity equally between his 14 most senior executives in 1948 (although he kept the voting shares to himself). Four years later Reeves applied the agency's hard-sell tactics to the US Presidential campaign on behalf of Dwight Eisenhower, developing a series of chatty direct-to-camera addresses by the candidate, presented under the heading of "Eisenhower Answers America". 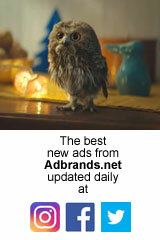 The ads succeeded in electing their client, and set a new style for political campaigning in the process. In 1955, Bates appointed Reeves as CEO, preferring to take an even less high-profile role for himself as honorary chairman. Reeves threw himself into a new challenge of developing an international network. In 1960, the agency established a base in London, acquiring local shop Hobson & Metcalf, which became Hobson Bates. An outpost opened in Germany in 1962, and in 1964, Bates acquired Australian agency George Patterson. At around the same time, Reeves' book Reality in Advertising was published, becoming a huge best-seller. Yet according to some reports (including Kevin Goldman's book Conflicting Accounts), Reeves had also become something of a liability. Although he worked long hours at the office, he also enjoyed his leisure time. Away from work, he enjoyed a lavish lifestyle of yacht racing, gambling and cocktails on his estate in Jamaica. For reasons that are not entirely clear, he left the company abruptly in early 1966 and retired to Jamaica for several years. Goldman's book suggests that he had been selling off his Bates shares to fund his expenses, and that the group agreed to pay him $80,000 a year to stay out of advertising for a decade. He eventually launched his own agency in the late 1970s, but it never really took off, and he died in 1984. He was replaced as CEO of Ted Bates by Archibald Foster, and then in the early 1970s by Bob Jacoby, who had joined the agency in 1962 from rival Compton, and then steadily risen through the ranks. Ted Bates himself died in 1972. By the mid-1980s, Bates was the #3 agency in the world and a major force in the US. Under Bob Jacoby, now chairman, it was also the world's most profitable agency, with margins almost three times higher than any of its peers. It used that financial strength to add to its own resources, acquiring the prestigious William Esty Company in 1985 in what was then the biggest ever advertising takeover, as well as German group Scholz & Friends. One year later, however, the tables were reversed. In 1986, Bob Jacoby effectively changed the nature of the advertising industry when he accepted an offer that epitomised the mad deal-making of the decade. Keen to seize a position as the world's biggest advertising agency, British upstarts Saatchi & Saatchi had offered to buy Bates for around $250m. Jacoby, almost as a joke, told them he wouldn't accept less than $500m, a ludicrous amount by the standards of the time. Incredibly, after some initial hesitation, the Saatchi brothers agreed. Not only was the purchase price unprecedented in the industry, five times higher than anything previously paid for any agency, but so was Jacoby's share, which came to $110m (roughly $250m in today's money). Around 100 other managers shared in the payout. Despite the cost, the deal succeeded in achieving its primary goal as far as the Saatchi brothers were concerned: it confirmed their company as the world's biggest agency group by far. But it also marked the beginning of a downward spiral which led ultimately to near-collapse. Almost immediately, Bates lost millions of dollars in billings, as one American advertiser after another pulled their accounts out of the agency, outraged by not only the size of the payout to Bates' management, but the perceived arrogance of the Saatchi brothers. RJR Nabisco, McDonald's, Michelob and Warner-Lambert all pulled their accounts from Bates in protest. Other clients withdrew their business from the group's other US agency, Backer & Spielvogel, and even from Saatchi & Saatchi itself. At the same time, Bates' management team began to turn upon each other as they jostled for position in the post-deal agency. Despite the fact that they had participated in the financial benefits of the deal he had negotiated, at least two senior managers turned their anger on Jacoby himself, bringing out into the open long-simmering tensions over precedence in the agency. One unidentified employee later memorably told the New York Times, ''It was like living in Rome in 50 AD. Even if you didn't get stabbed in the back, you slipped in someone else's blood and fell.'' Attempts by the Saatchis to transfer Jacoby to another part of the empire to reduce the tension prompted his resignation and a lawsuit for breach of contract (which he won). Despite attempts to stabilise the business, Bates continued to lose clients over the next four or five years, including Miller Lite, Xerox and Prudential. By the early 1990s, the whole Saatchi empire was in financial trouble as its debts had spiralled as a result of reckless over-expansion. Not even the removal of the Saatchi brothers in 1995 fixed the problem, because that move led to the loss of Bates' last major global client, Mars. The confectionery and petfood giant had already threatened to shift its business from Bates after the 1986 acquisition, but had been persuaded to keep faith in its longtime agency. The removal of the brothers at the end of 1994 proved the last straw, and Mars pulled its entire account, worth around $400m in billings. Over the next two years, it became increasingly obvious that internecine rivalry between the Bates and Saatchi networks was actually holding both businesses back, especially since the growing importance of Procter & Gamble as a Saatchi client blocked Bates from going after competitive packaged goods accounts. As a result, in 1997, Saatchi & Saatchi was demerged from what had now become holding company Cordiant. The two companies retained their joint interest in Zenith Media, as well as in a number of joint ventures in far-flung corners of their respective global networks. One of Bates' principal focuses became the further development of its international network. In 1998, Bates merged its Argentinean agency Verdino Bates with newly acquired Fernando Fernandez, then took a 32% stake in Brazilian agency Newcomm two months later (increased to a majority stake in 2001). In 1999, the group acquired a majority stake in its Indian affiliate Bates Clarion, one of India's oldest agencies. A few months later, the network cemented its hold on the Hyundai account by acquiring an 80% stake in Korean agency Diamond Advertising, a subsidiary of the car manufacturer. However this account came under threat in late 2001 when the US part of the business was placed in review, and then lost the following year. A string of other accounts followed Hyundai out the door, including the $300m Wendy's account, virtually halving the agency's US billings in less than a year. In a bid to recover from these problems, parent Cordiant announced a complete restructuring of its marketing brands. Subsidiary agencies Healthworld, 141 Worldwide and design agency Fitch:Worldwide were merged into the main advertising agency to form Bates Group, billed as a single, fully integrated agency. In reality the separate brands continued to operate more or less independently from one another but with shared top management and back office functions, and a single profit & loss account. Excluding specialised marketing services subsidiaries, Advertising Age ranked Bates as the #16 agency network worldwide in 2002 with revenues of $365m. Sadly, however Bates continued to lose business, and Cordiant was finally forced to putitself up for sale in 2003. Following a brief tussle with other bidders, WPP emerged as the winning buyer. The process of carving Bates up began in August 2003. Cordiant had already agreed the sale of George Patterson Bates in Australia to local partners The Communications Group. Newcomm Bates in Brazil was merged into Y&R. Bates USA was mostly swallowed up by J Walter Thompson. Regional agency Bates Midwest was renamed Roman Brandgroup in honour of Chairman Dan Roman, and shifted into JWT. Bates Southwest was folded into WPP's Brouillard Communications. Bates UK and Bates France were also folded into JWT, along with most other main international outposts. A further 15 offices in Scandinavia, Netherlands, Belgium, Austria and Eastern Europe were rebranded as Red Cell. Only Bates Asia survived under its original name.